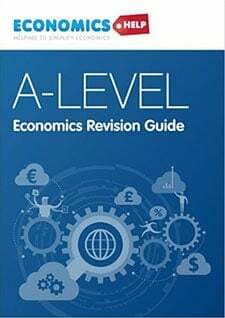 Elasticity is a concept which involves examining how responsive demand (or supply) is to a change in another variable such as price or income. 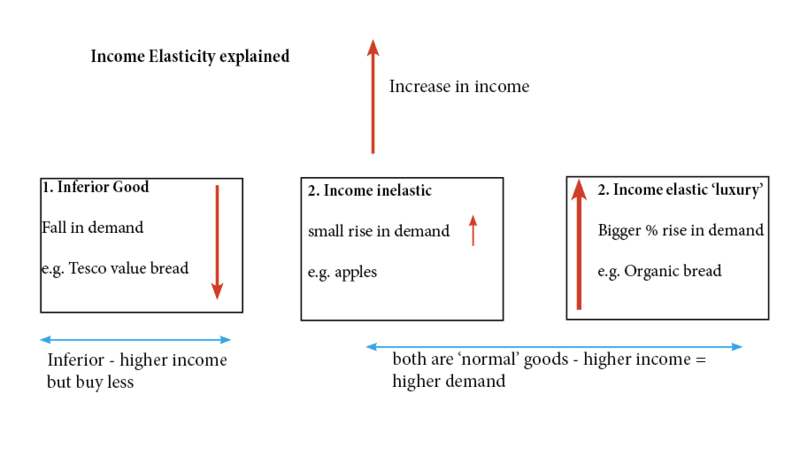 The most common elasticity is Price Elasticity of Demand. This measures how responsive demand is to a change in price. 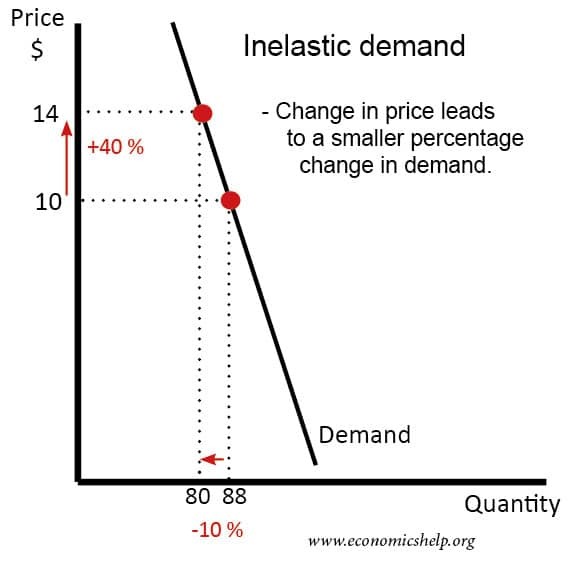 If a change in prices causes a smaller % change in demand, then we say demand is price inelastic. In the above example, the price increased 40% and demand fell 10%. In other words, the higher price does little to reduce your demand. Goods which are necessities. E.g. if you drive a car to work, it is a necessity to buy petrol. Therefore, if the price of petrol goes up you are likely to keep buying it. Addictive. If you are addicted to cigarettes/drugs, you will keep buying even if the price goes up. Bought infrequently and small percentage of income. If salt increases in price, most people wouldn’t mind. 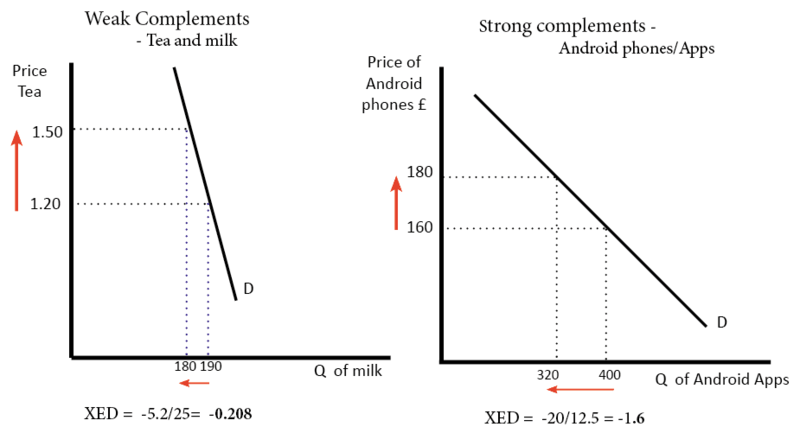 Demand is said to be price elastic – if a change in price causes a bigger % change in demand. 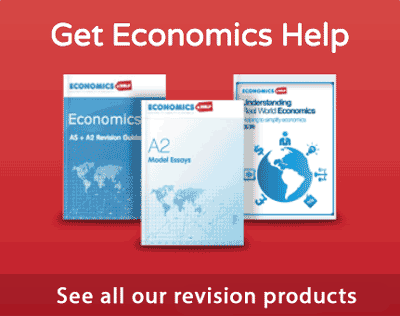 Elastic demand means that you are sensitive to changes in price. For example, if the price of Sainsbury’s Caledonian mineral water increases, you would probably switch to other varieties of mineral water. 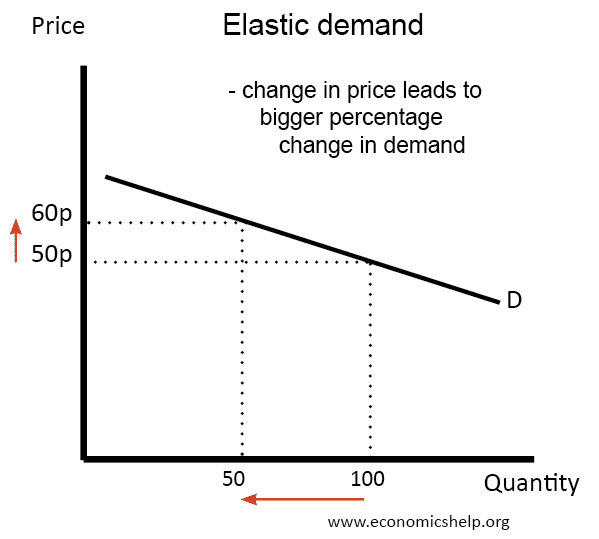 Therefore a change in price causes a bigger % change in demand and your demand is quite elastic. However, if a particular brand like “Wispa” or ‘Dairy Milk’ increased in price, consumers could switch to other brands of chocolate. Therefore demand is more elastic for individual brands. Effect on demand. If a firm knows demand is price elastic, raising price is likely to cause significant fall in demand and a fall in revenue. The effectiveness of a tax. 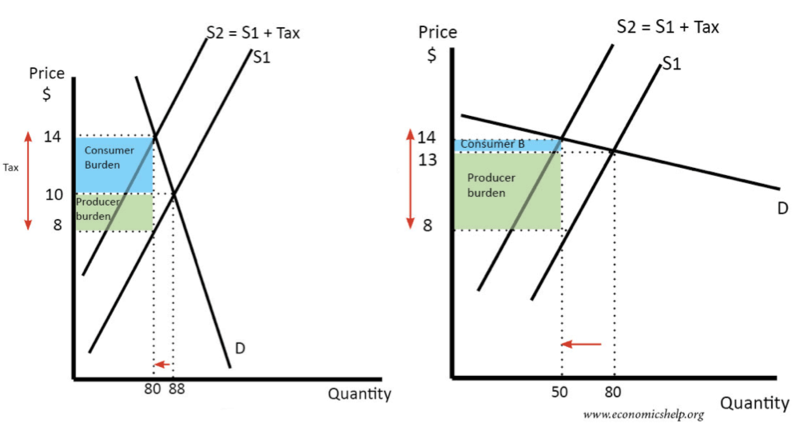 If demand is price inelastic, a tax would only cause a small fall in demand. Though it would lead to increase in tax revenue. In diagram on left, demand is inelastic. Higher tax leads to big increase in price and small fall in demand. 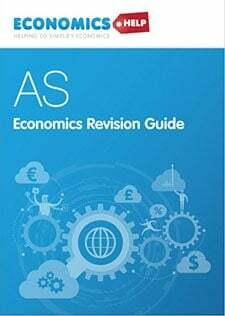 Elasticity and price discrimination Elasticity can be used to explain and understand decisions of firms such as price discrimination. A firm may have two groups of consumers – adults and students. Because students have low income, their demand is more price elastic. This means that if you cut prices for students, you get a bigger % increase in demand. Therefore, a firm will try to increase profits by cutting the price for students and keeping them higher for adults. 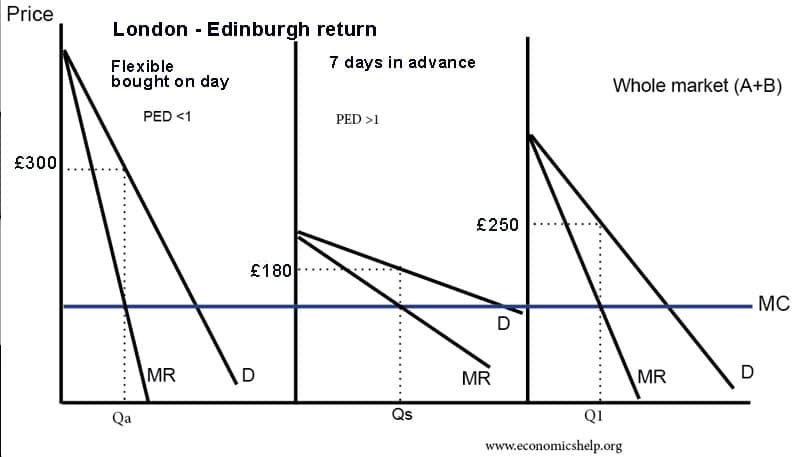 In the above example, firms set a much higher price for a ‘flexible’ ticket bought on the day. Some business users will have an inelastic demand so will be willing to pay this price. However, students or those on low-incomes will be more sensitive to changes in price and will be willing to book in advance – to save money. Often elasticity can vary over time. 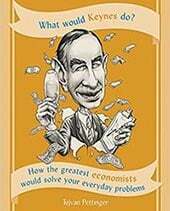 In the short-term, demand is price inelastic – because people don’t have time to look for alternatives. 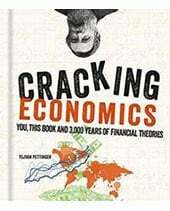 However, over time, people try harder to find alternatives and so demand becomes more price elastic. 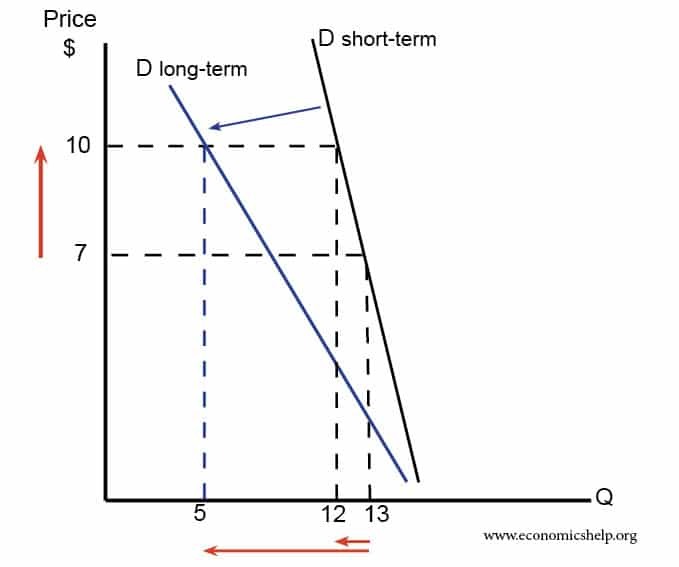 For example, if the oil price increases, demand will be inelastic in the short-term. But, over time, consumers will consider buying more fuel-efficient engines or electric cars – to avoid the expensive petrol. If goods are substitutes, the XED will be positive.